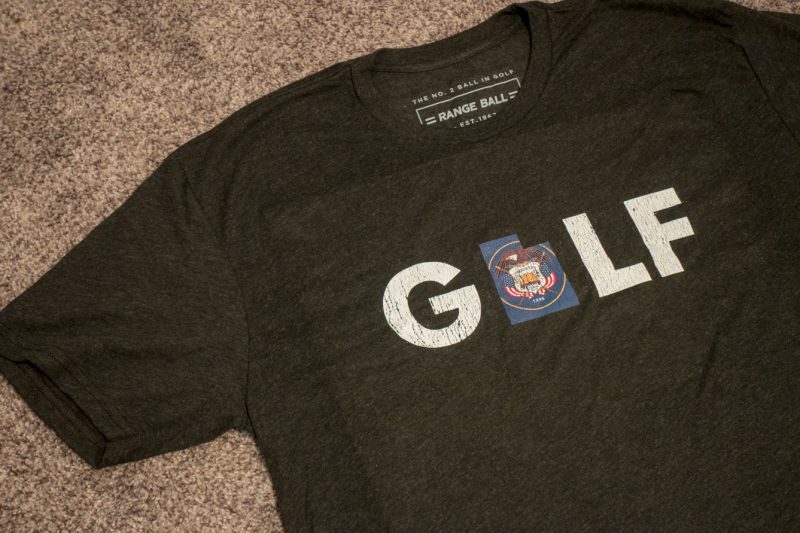 Tis the season to give generously to the golfer on your Christmas, um, er…. “holiday” gift list. Hooked on Golf Blog has you covered. Below are a few great golf gift ideas which will run over $75 and let’s face it, not much in golf is less than $75, except the HOG golf gift ideas under $75. In the list below I’ll post the item, a photo, and a quick comment on each. You can visit the full HOG feature by clicking on them. The tune driver cranks! The sound quality is great too. And if you break your driver, the tune driver could be a substitute in a pinch. But please, for the love of golf, do NOT play Coldplay with this thing or I’ll wrap my driver around your head. While I’m at it, lay off the Kenny G too. 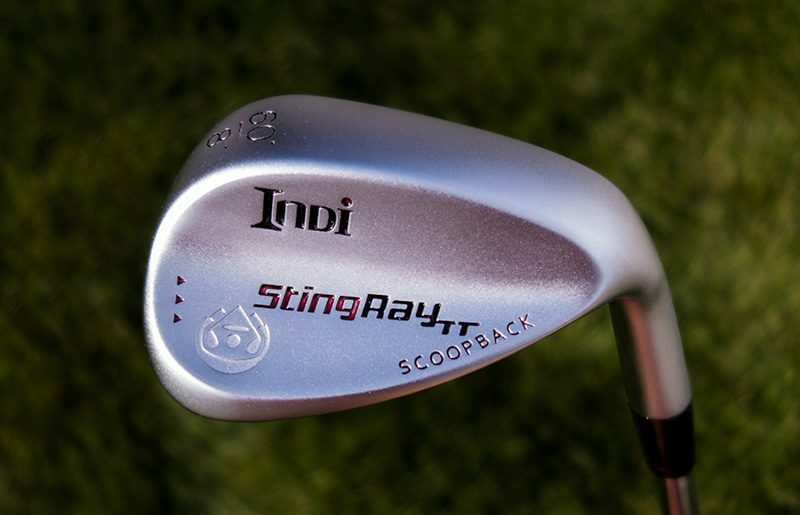 After about 12 years of playing the same wedges I finally have a new fun set I’m working with from Indi Golf. 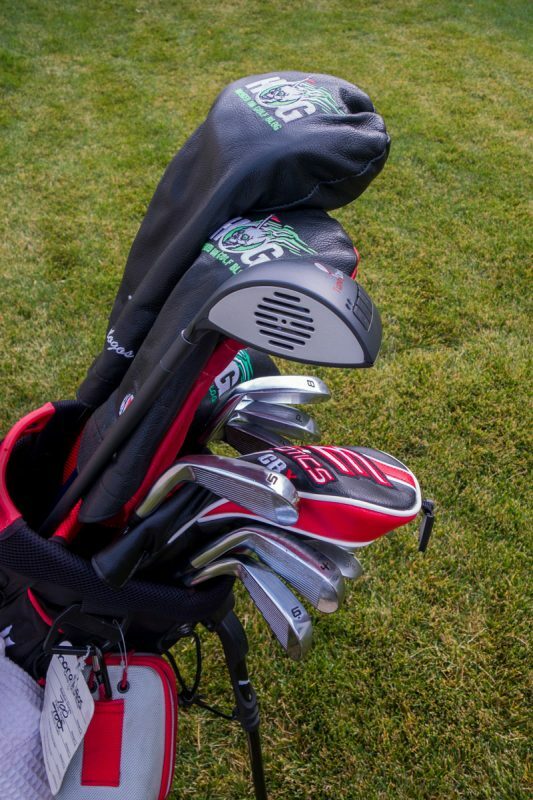 The StingRayTT wedges have full grooves all the way out to the toe, lots of mass in the upper outside part of the head, and make hitting out of the sand easier than ever. The Bushnell Phantom GPS is so awesome and so compact that you need to make sure you don’t have it stolen, like I did. Talk about infuriating. 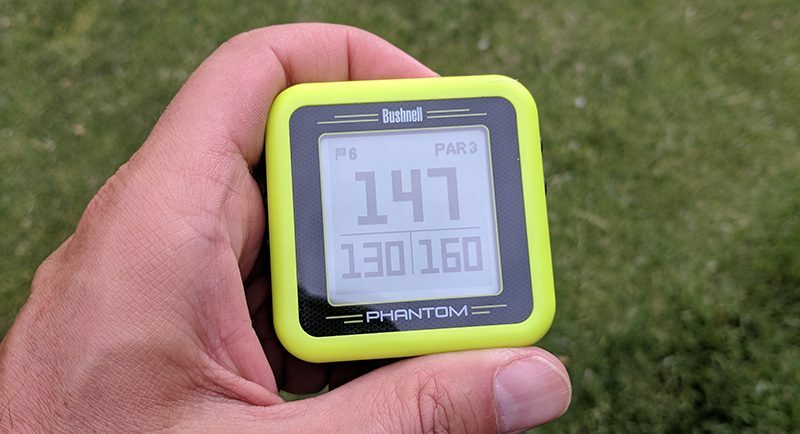 Anyway the Phantom is a great GPS which has a super powerful magnet so you can attach it to the frame of a golf cart or other metallic surfaces. The numbers are super accurate. 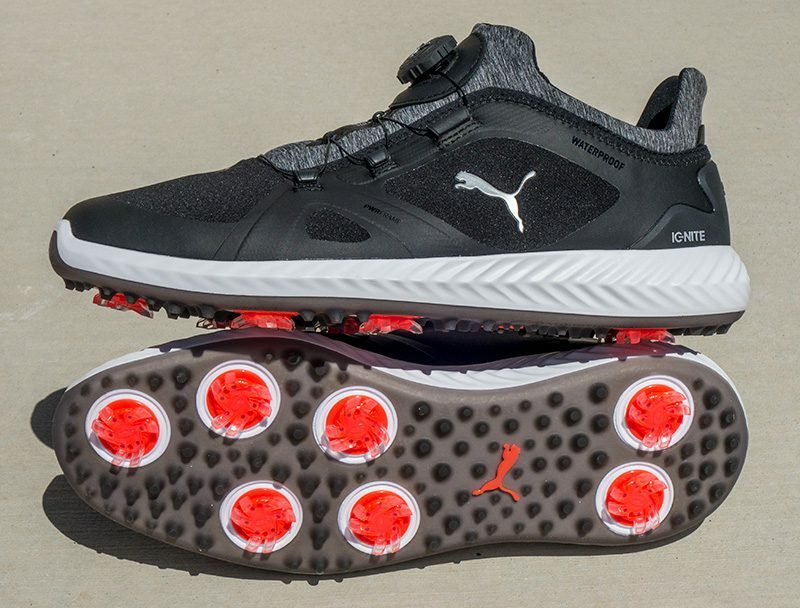 The Puma PWRADAPT Disc golf shoes are super stylish, extremely light and comfortable, and are tightened by a super awesome knob. Like getting granular with your golf stats? 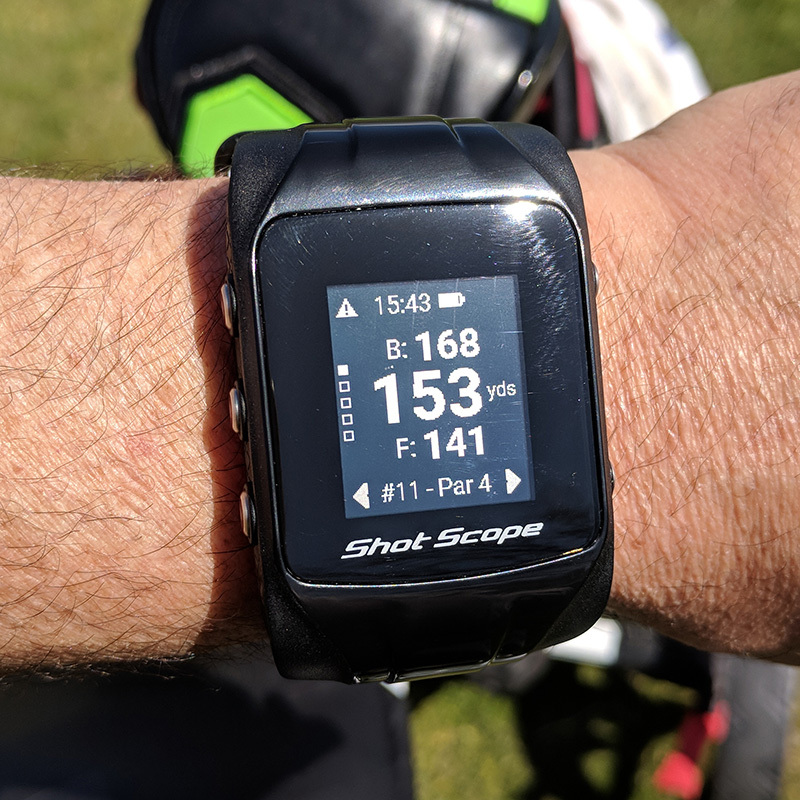 Track everything you can imagine, from fairways to greens to putts, while also getting GPS yardages. Did I mention this is all on a watch? This is a tremendous hybrid. I’m thrilled with mine. It flies far, straight and is easy to hit, just like hybrids are supposed to! Take your game to a New Level. I did. Ever wonder if the ball you fished out of the lake is good? Not sure what ball fits your swing speed? Live on a golf course and find lots of used balls? 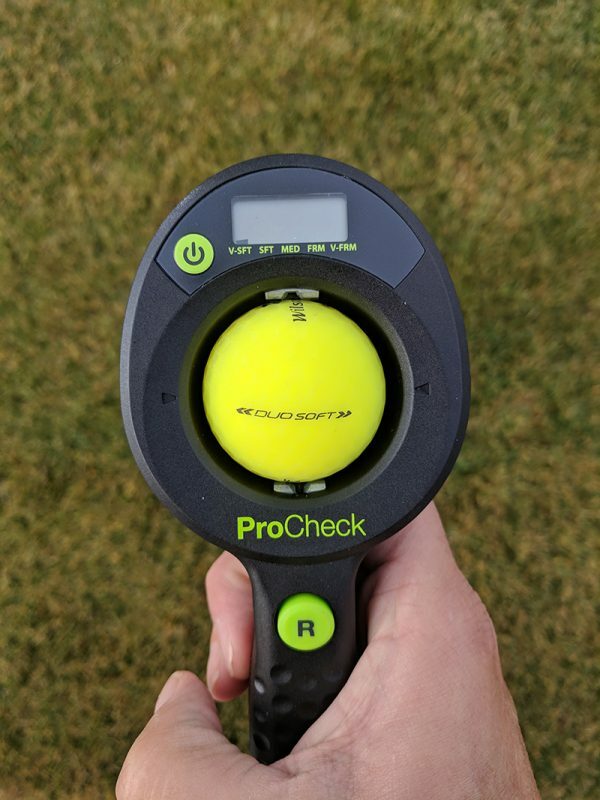 Test them out with ProCheck. It’s that time of year again. Time for the annual Hooked on Golf Blog Christmas gift guides, “holiday” gift guides for you politically correct types. 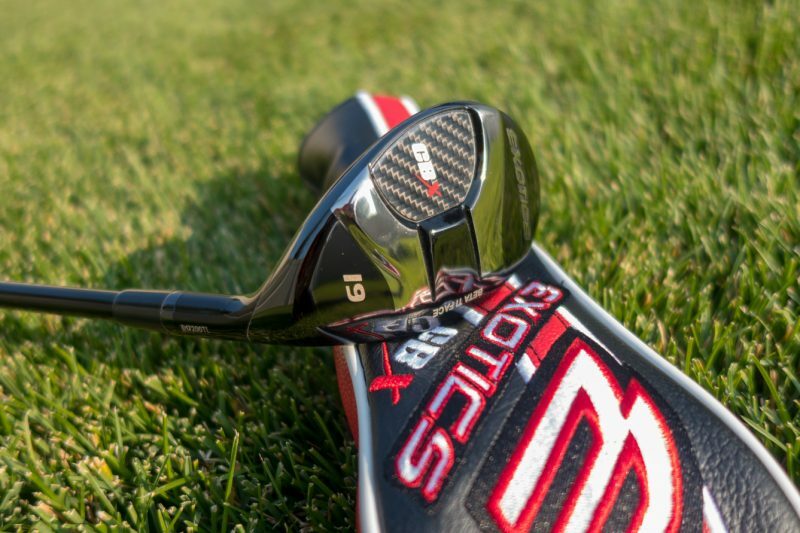 Today’s focus is affordable golf gifts. In my guides I feature products I’ve reviewed in the previous year, and provide links to the full review. Let’s get this one started! Wallarroo hats makes some very stylish, comfortable hats which also provide great protection from the sun. 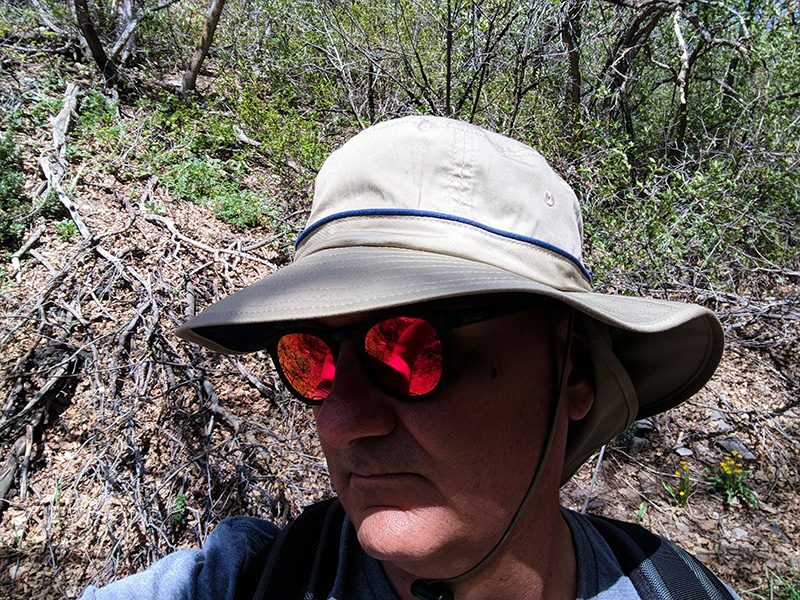 I use the Shelton hat regularly when golfing, camping, hiking, or working in the yard. Okay, I admit it. I don’t work in the yard. 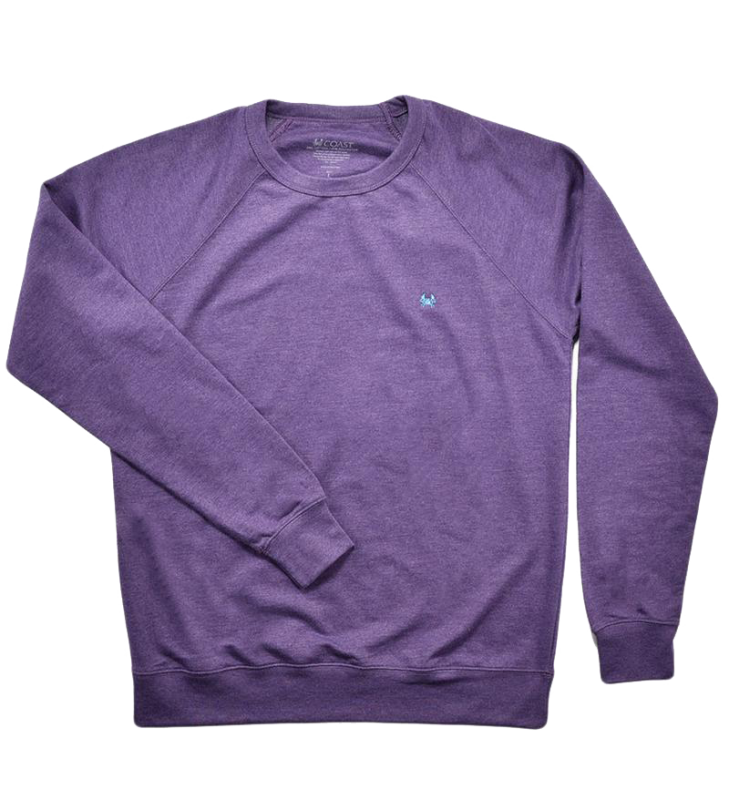 This blended sweater (55% cotton/45% polyester) is very comfortable and works great on and off the golf course. Kentwool socks will probably be on every gift guide I ever do. They’re simply fantastic and I refuse to wear any other sock on the golf course. Classy. 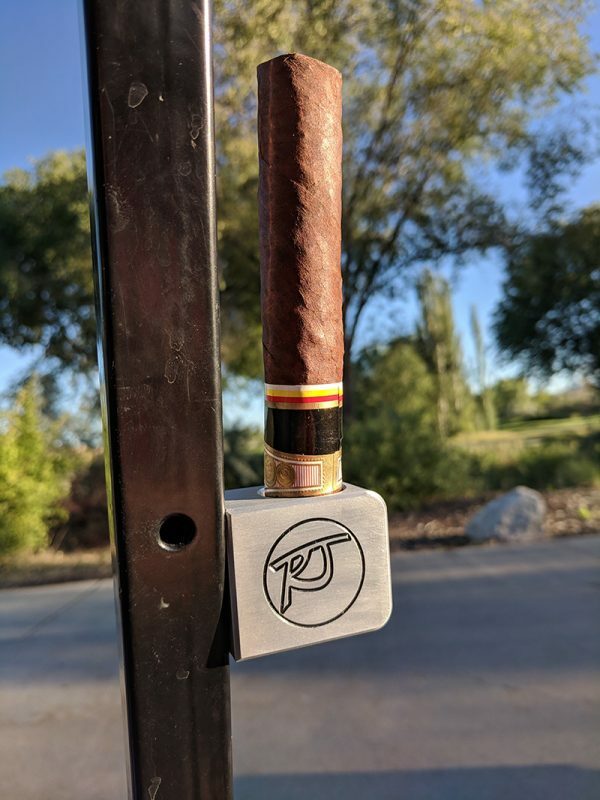 This is a super cigar holder with a mega-strong magnet. Mount the holder on a golf cart frame or any metal surface. 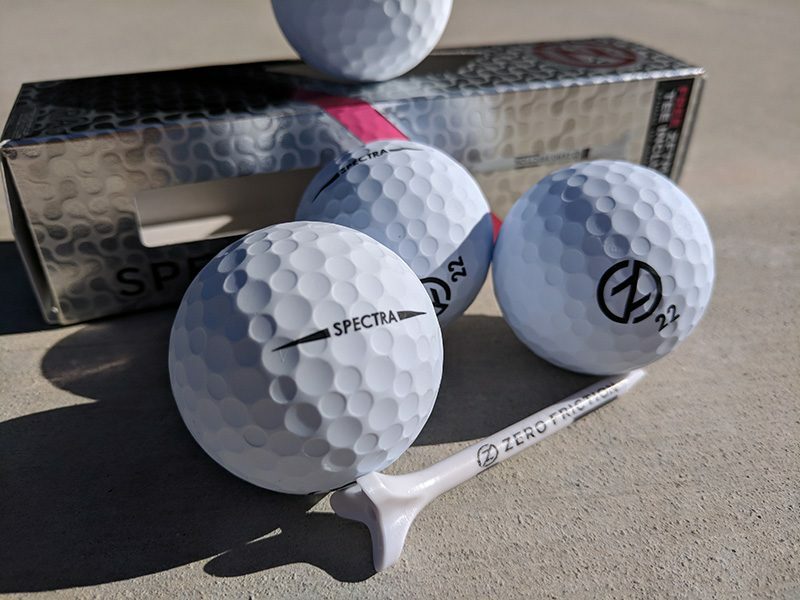 Monthly subscription gift boxes are hot in the golf world right now. 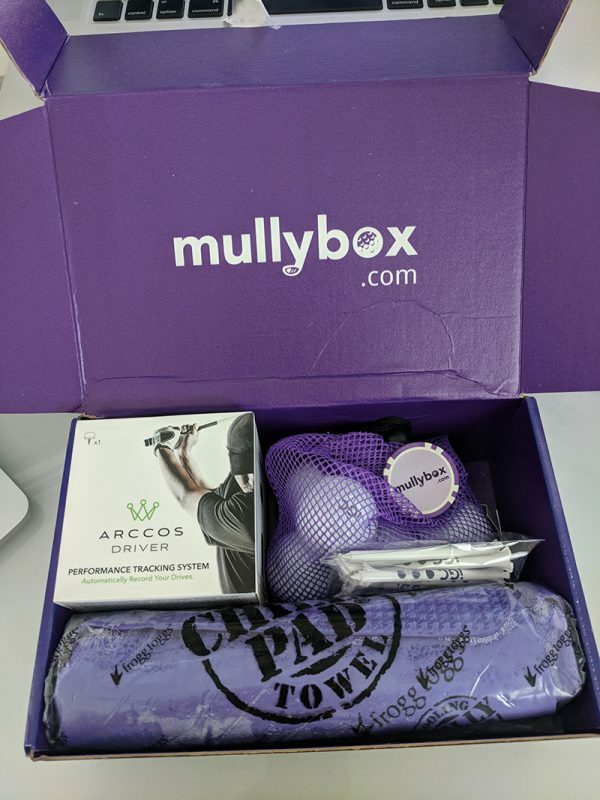 Mullybox puts together a great package with lots of very cool and useful golf accessories. 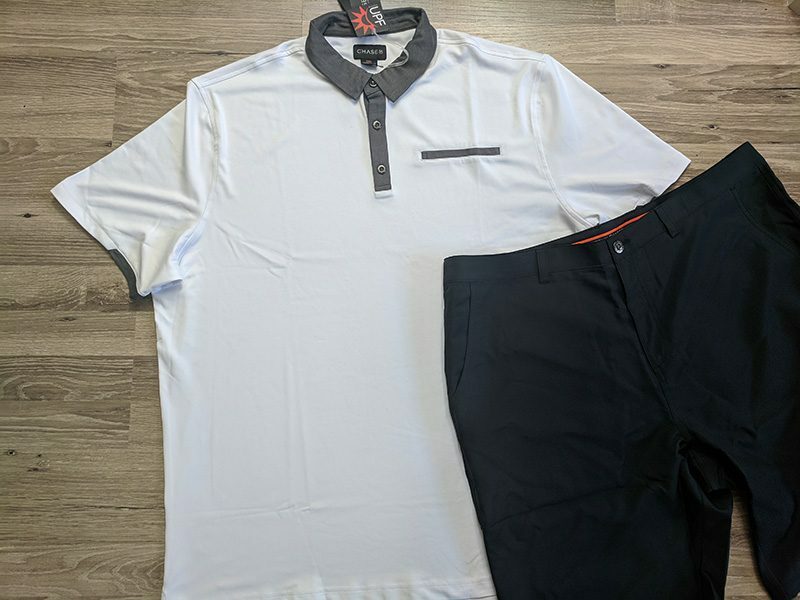 Chase54 makes some fantastic golf apparel. I really love my Frequency polo, and it goes great with their Trekker golf shorts. 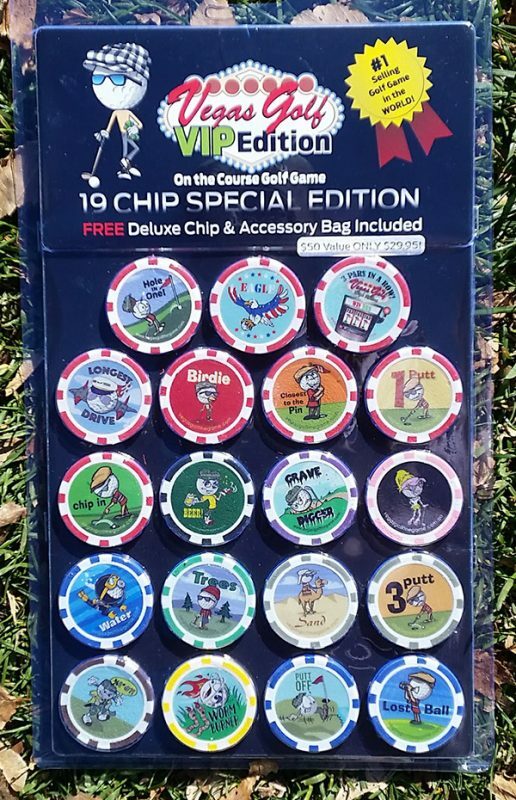 Vegas Golf is a fun game with chips that are awarded for good and bad plays in your golf group. Add ’em up at the end of the round and collect your bets! 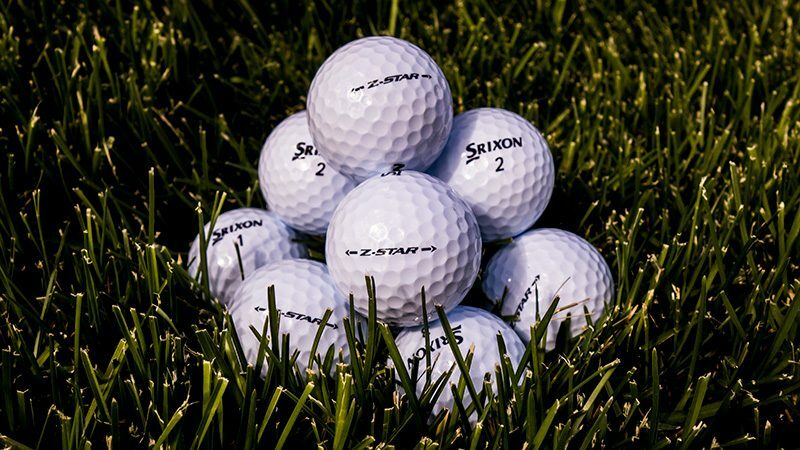 Srixon has been advertising a special rate of $29 for their Z-Star golf balls. The Z-Star is fantastic and every bit as good as any other tour ball out there like the ProV1, ChromeSoft etc. I must admit I wear this RangeBall t-shirt as my jammie jams, just about every night. The fabric is so comfortable. Dollar Shave Club, Harry’s, Birch Box, Trunk Club, Lootcrate… the monthly goodie box for men concept is pretty hot right now. But why get overpriced razors every month when you could get something really fun and useful, like golf balls and accessories? That’s where iGC Box comes in. 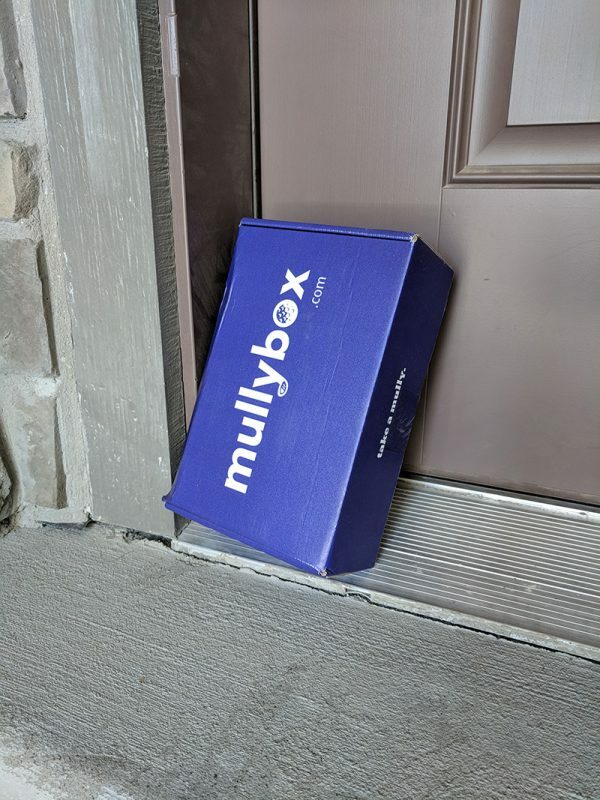 Let’s take a look inside the box. Inside my iGC Box are some nice golf goodies. See below. First and foremost is a half dozen high quality, urethane covered 3-piece balls. That’s the same recipe one would find in “Tour” quality golf balls which can run $50-$60/dozen. I have NO desire to get a monthly subscription if the balls inside are “RockFlite” quality. The balls come inside a useful accessory bag which is great for the other small golf items one loses inside a big golf bag. Along with the balls my box had some nice, long plastic tees. I tee it high, so these are perfect for me. Plus they’re much more durable than wood tees. Last but certainly not least is a terrific little club brush, which is not even the size of a box of Tic-Tacs. There are three retractable parts: a metal brush, a plastic brush, and a pointed plastic groove cleaner. This accessory is worth a month’s subscription price on its own. It’s so small it can live in the golfer’s pocket, ready for use whenever a quick club or groove cleaning is needed. 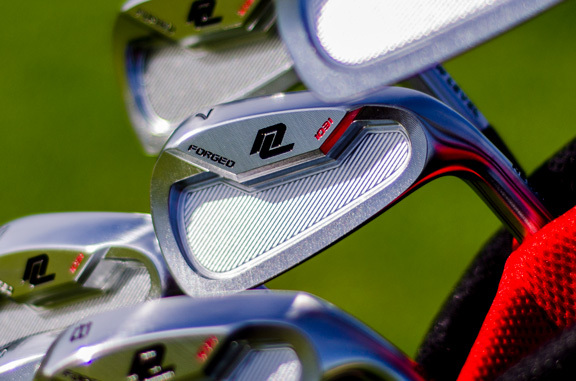 Clubs work their best when they’re clean and the grooves are not full of debris. There are two subscriptions available from iGC, year-round and seasonal. Both subs are $19 and delivered monthly. The yearly obviously comes every month through the year, while the seasonal is monthly between the months March through September. I say “semi-final thoughts” because I’ll be covering another iGC box soon, which offers some other goodies, to give you the idea of the variance. Think inside the box. iGC Box. 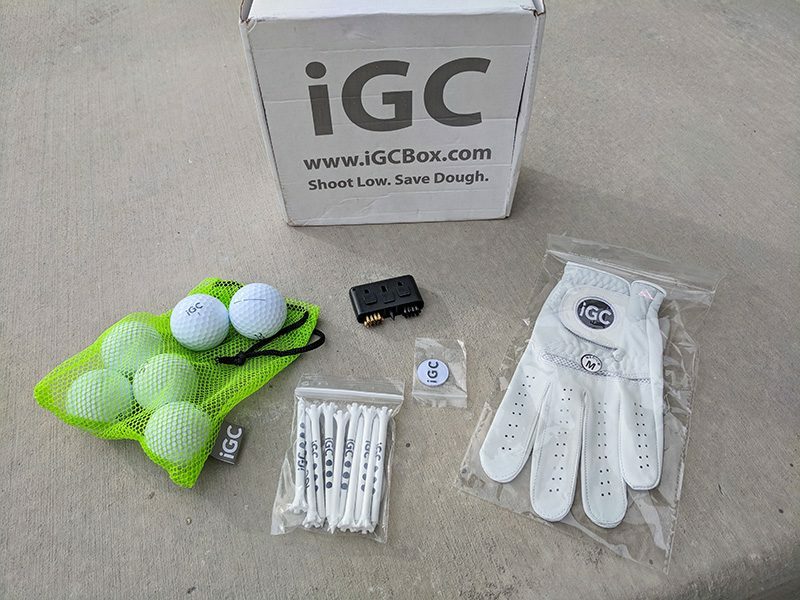 With an iGC box landing on your doorstep every month you’ll have a solid pipeline of the most used and highest wear-and-tear items in your golf arsenal, balls, gloves and tees.